Earlier this year beloved actor Bill Paxton, 61 years-of-age, suffered an aortic aneurysm and had emergency surgery to replace his aortic valve, which pumps blood out from the heart to the body. The procedure is very common and has a high success rate. In fact, just days before Paxton’s surgery, news anchor Charlie Rose had his aortic valve successfully replaced for the second time and was back on TV a few weeks later. Paxton, however, was not as fortunate and suffered from a stroke just after the operation was completed due to unspecified complications. Eleven days later, Paxton died at Cedars-Sinai Medical Center in Los Angeles. According to the Centers for Disease Control and Prevention, aortic aneurysms cause around 10,000 deaths in the United States annually and play a part in an additional 16,000 deaths. A stroke can occur when a vessel transporting blood to the brain becomes blocked or bursts, stopping oxygen from getting to the brain. Strokes are one of the most common causes of death in the United States. It is not known, however, how many deaths occur each year as a result of complications during an operation because there is no law requiring doctors or hospitals to report the information, and as such, there is no national database. It is also not yet known if the complications that led to Paxton’s death were a result of any possible negligence of his doctors. A stroke can occur during a heart operation even if the attending physicians follow protocol, but the high percentage of successful aortic valve replacements raise questions. 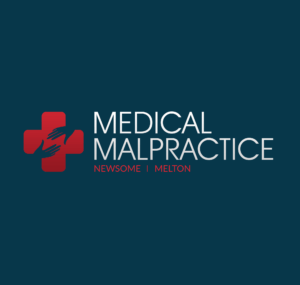 As does the fact that malpractice suits have been on the rise. Scientific American, one of the oldest magazines in the country, reported in 2009 that the rate of preventable mistakes by doctors had doubled over a ten-year period. Just last year, the family of comedian Joan Rivers settled with the doctors and clinic that they had filed a medical malpractice suit against for her death. Rivers, then 81-years-of-age, underwent a laryngoscopy and an endoscopy in 2014. Rivers’ lawyers alleged that due to the negligence and violation of protocols by the doctors at Yorkville Endoscopy in New York City, an outpatient surgical center for minor procedures, Rivers suffered cardiac arrest and died one week later.